Digitalisation is the theme of the season, so think the Chinese. China has initiated an international scientific cooperation programme for Earth observation to give digital support to its Silk Road Project. 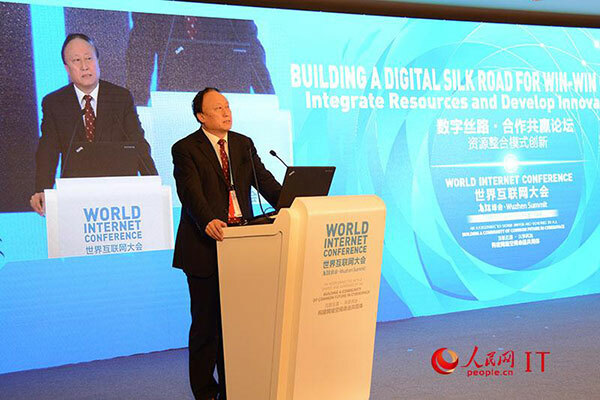 The Digital Silk Road is aimed at cementing ties in the fields of information and communication between nations. Thus it will support the Silk Road Project that aims to increase global exports and give the Chinese a larger role in global affairs. Although the Silk Road Project has hit various roadblocks due to trying conditions in the Chinese economy, the new initiative on Earth Observation had scientists from more than 40 countries and regions partnering with international organizations such as UNESCO. An academician from the Chinese Academy of Sciences said that the new earth observation technology collaboration would help enhance people’s understanding in broader and accurate ways. A developing society that takes scientific collaboration with the same seriousness as its commercial ties usually has a better chance of creating a worthy life for its citizens. Perhaps China with all its internal contradictions is aiming to get the basics right, although constitutional democracy still remains its Achilles’ heel. In the recent past China invested in social sectors such as public health and mass education, including higher and adult education. With increasing awareness of environmental degradation it has begun to harness the potential of renewable energy sources. The new projects like one belt, one road will provide a boost to its commercial ambitions and may lay a sturdy framework for future collaboration. Amongst developing societies China is an example of how enhanced global aims should be tied to domestic priorities, which on fruition will benefit both local and international partners. One belt, one road was unveiled in 2013 as an international development strategy that would create commercial collaboration amongst countries of Asia, Europe and East Africa. Perhaps the way one belt, one road unfolds will decide the future of the Chinese economy. The initial enthusiasm, according to China watchers, has died down and the progress on ground is unexpectedly slow. So far a paltry $ 24 million has been spent on a project that will ultimately cost about $ 8 trillion, going by estimates of the Chinese State Council. The critics of the project also argue that China is trying to export its surplus production and infrastructural equipment to mostly poor and under developed economies in the region. They thus equate the Chinese strategy of growth with the one employed in the past by its current economic and geopolitical rival, the United States.